In 1969, at the age of twenty-three, Karl Marlantes was dropped into the highland jungle of Vietnam, an inexperienced lieutenant in command of a platoon of forty marines who would live or die by his decisions. Marlantes survived, but like many of his brothers in arms, he has spent the last forty years dealing with his war experience. 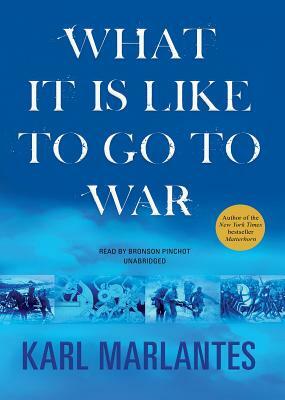 In his first work of nonfiction, Marlantes takes a deeply personal and candid look at what it is like to experience the ordeal of combat, critically examining how we might better prepare our soldiers for war. Just as "Matterhorn" is already acclaimed a classic of war literature, "What It Is Like to Go to War" is set to become required reading for anyone--soldier or civilian--interested in this visceral and all too essential part of the human experience.